Blog Quick Quotes: Enjoy the Little Things with Wendy! Enjoy the Little Things with Wendy! Hi everyone! 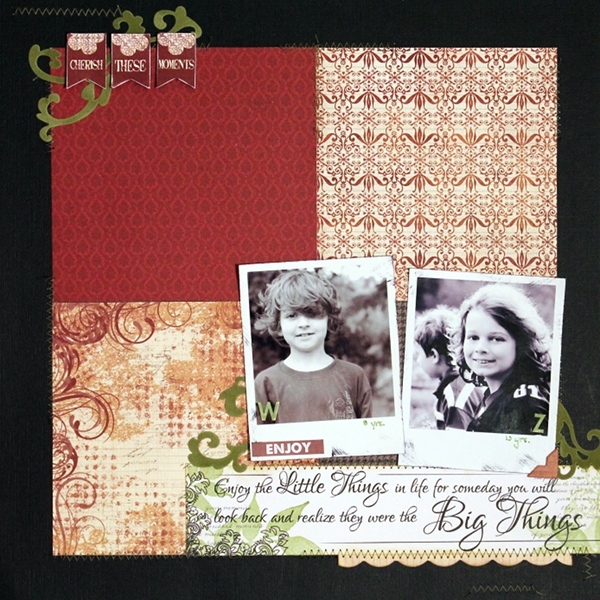 Wendy here and today I'm sharing a layout using the Cracklin' Rose Collection, featuring the all new 6x6 paper pads! 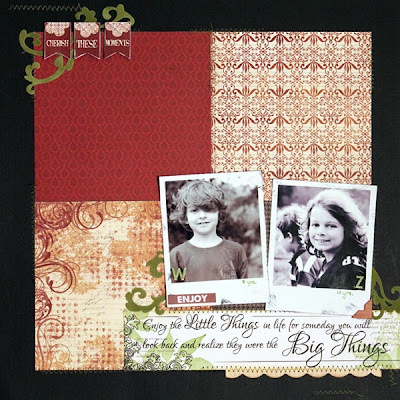 Not only are the 6 x 6 Paper Pads great for cardmaking but they are also great for layouts. I pulled 4 of my favorite papers out of the Cracklin' Rose Collection, trimmed an inch of two sides and used them as the background for my layout. A bit of machine stitching and a few coordinating embellishments finish off the look. 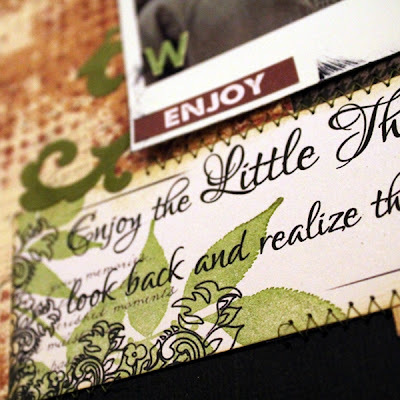 To add a bit of color, I stamped leaves in Green with Envy and Green Tea on a Family Bundle embellishment. Thanks so much for stopping on over today to visit the blog! 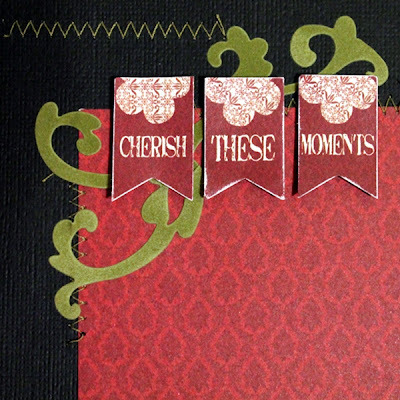 Be sure to check out the Quick Quotes store or Scrapbook.com for the 6x6 paper pads. Great use of the 6x6 paper stack! And I love the stitching! Beautiful layout! Love this Wendy! The polaroid photos and quote are perfect.